T shirts are regular clothing items that people generally choose for casual wear. These are mostly inexpensive but it’s to stress here that there are some T shirts around that are accompanied by a really hefty price tag. 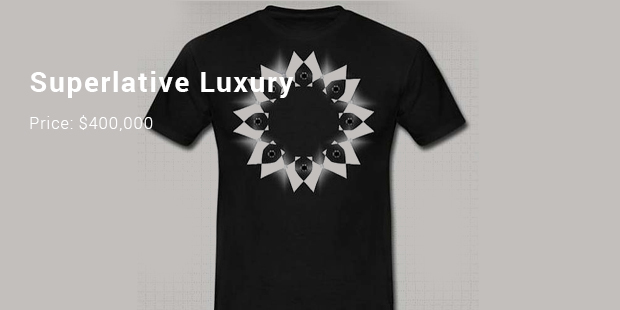 It’s not that these T-shirts are bejeweled with precious metals but most of the times these carry some noble thoughts behind them- be it in the form of helping the needy or conservation of Mother Earth. 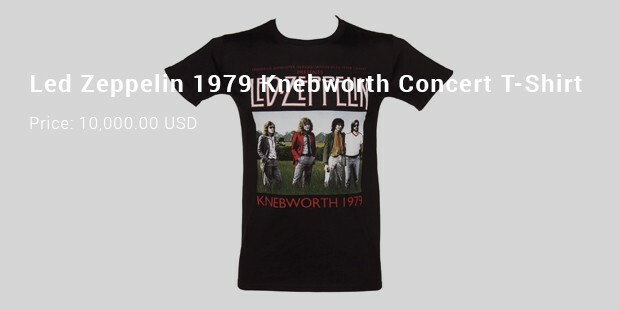 At times, the most expensive t shirts are the collectibles from iconic concerts or pop bands. Here is a roster on some of the most expensive t shirts you will come across. 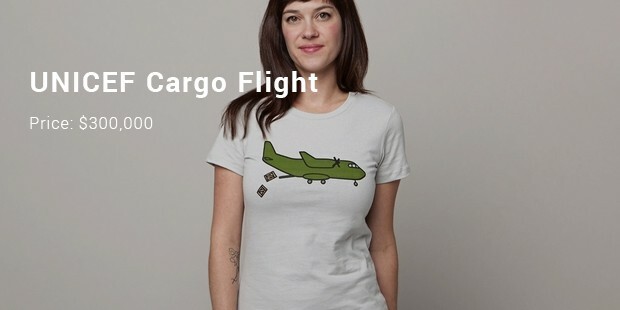 It’s apparently a simple white T shirt from UNICEF that features a green airplane dropping relief for the needy. But what’s so important about this simple T-shirt that makes it the second most expensive? Well, the money procured from selling these T shirts help to generate the needed funds for the betterment of the poor. Once again an UNICEF t-shirt comes to the list of most expensive t-shirts of the world. 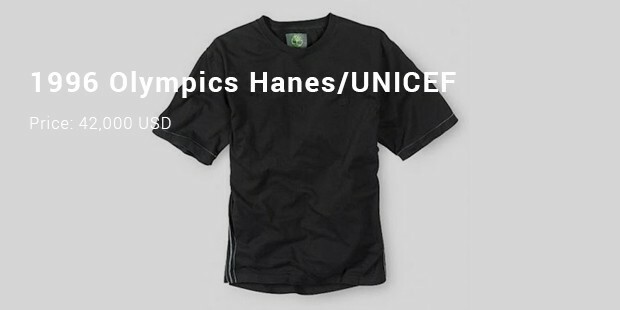 UNICEF partnered with Hanes before the start of 1996 Atlanta Olympics for helping kids in war-torn nations through T-shirt auction. 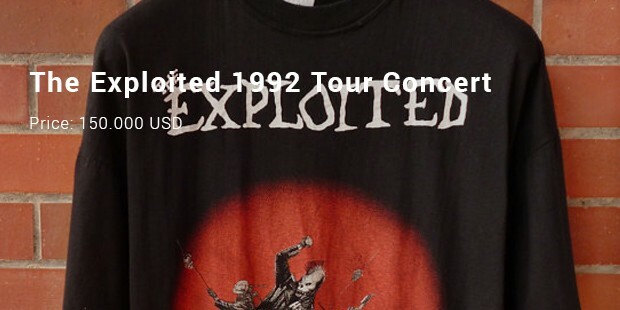 The funds gathered from auctioning this T-shirt were offered to Olympic-Aid-Atlanta, the organization that looked after kids from the war-stricken countries. 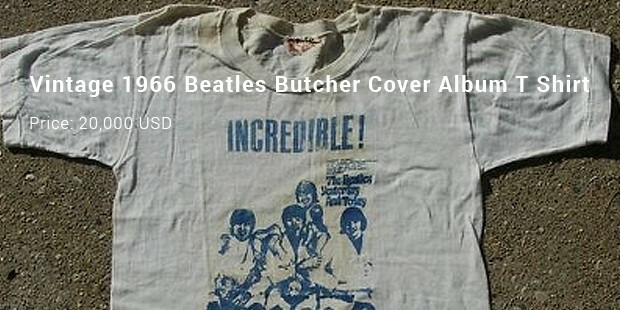 The t-shirts listed here are definitely some of the most expensive items in the world but it’s the thought behind them that make them invaluable assets. So, if you are a thoughtful soul and confident about your deep pocket, these T shirts- at least one of them- are worth a try for you.